THE National Railway Museum has released an extensive programme of operations for No. 60103 Flying Scotsman this year. This follows news the NRM has extended its deal with Riley & Son (E) Ltd to operate and maintain the ‘A3’ for another six years. A weekend on static display at Rawtenstall at the East Lancashire Railway (ELR) on March 10-11 will be the first of several appearances at the ELR in the spring – it will also be on display over the Easter weekend and in operation at the ELR on May 12-13. ELR visitors will also be able to enjoy the ‘A3’ in action on August 24-27 and September 5-8. 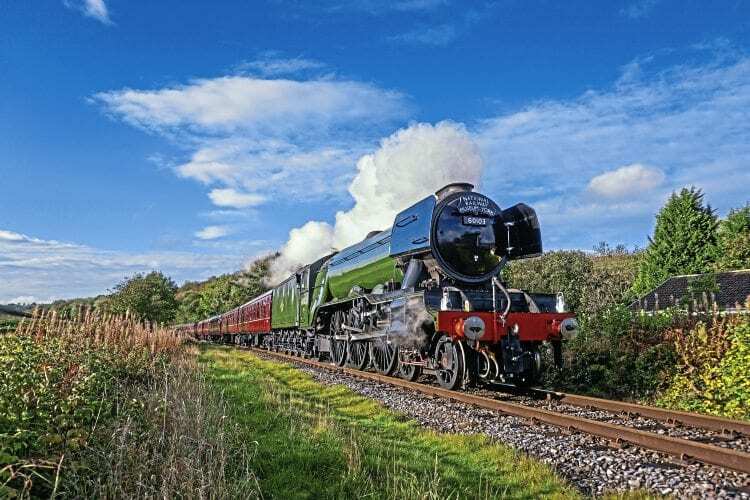 Main line dates start with a one-way Railway Touring Company (RTC) trip to Scarborough on April 19, a four-day tour from King’s Cross to Scotland on May 19-22, two London-based, half-day circular tours on May 31 and June 5, and ‘The Lake Express’ on June 18-21 – all the latter trips are with Steam Dreams. RTC has the locomotive booked for ‘The Scarborough Flyer’ from the North Yorkshire resort to Ealing Broadway on June 23 and ‘The Yorkshireman’ back from West London to York a week later. July 8 sees the ‘A3’ work ‘The Waverley’ from York to Carlisle and return for RTC, while on August 4 it will haul the same company’s ‘Cumbrian Mountain Express’ from Crewe to Carlisle and back.